Twice the Child of Hell! Who, me? How is possible that well-intentioned people who believe they possess the truth, who work hard to promote the religion they believe is the one handed down from heaven, can actually be doing more harm than good? Although many who read this will adamantly disagree (which, of course, is ultimately everyone’s right), I would suggest that such a scenario is possible when we wrongly believe in an angry, retributive, violent God whose purest form of justice is the punishment of evil doers. I would suggest that it is possible when we believe that eternal conscious torment is the justly deserved punishment of those who refuse to obey the truth clearly and obviously revealed in nature and Scripture! “They are without excuse!“ That is what we believe and what we require our converts to embrace. I can hear the “Amens” resounding in my ears from a not too distant past. Of course, much of the OT, and portions of the NT seem to support the idea of an angry God who justly sends people to an inescapable hell. Even some of the teachings of Jesus and Paul appear to support the idea of a post-mortem place of fiery torment as an expression of God’s wrath against sinners. I do not deny that the Bible itself (and Christianity by extension) often portrays a pretty ugly picture of God. I do see why and how we came to that conclusion. But that is not the only picture the Bible portrays. Juxtaposed alongside the retributive God is the gentle, compassionate, inclusive Jesus who ate and drank with sinners, viewed sinners as sheep without a shepherd and taught that we are to love and forgive even our enemies and practice non-violent, non-retributive justice. He even forgave his executioners on the basis of their ignorance. And this Jesus claims that to see him is to see the truth of God the Father. But somehow this gentle lamb is going to reverse course at the end of the age and show God’s true, retributive nature as a ravenous, warlike lion and destroy the unbelieving armies of humanity at Armageddon. So what do we do with these conflicting portrayals? We can either believe in a form of the gospel that satisfies the justice of the wrath of God (God is angry at us), or we can believe the gospel is a revelation of the truth of God’s non-retributive, non-violent, restorative justice (God is angry for us at the powers that destroy us). These two gospels are essentially diametrically opposed views of God and his wrath. We confuse them like the disobedient teenager who believes his or parents hate them because the correction they impose is painful. Spoiler alert: destroying sin habits is always a very painful process. It requires death at a number of levels. We can blindly accept the dark images of God in the Bible as 100% accurately revealed truth (because that is what we have been proselytized to believe by an externally imposed hermeneutic), or we can question those revelations for their complete accuracy in light of the One who, in contrast to Moses, is Himself Grace and Truth. We can learn to re-read the Bible in light of the Bible. Maybe the “inspired” texts merely accurately record what we (rather, pre-Jesus Israel) thought God looked like before we (post-incarnation, post-crucifixion, post-resurrection, post-ascension, post-Pentecost believers) knew Truth! Those “less lightened” texts then perhaps become the dark background against which the light of a loving God stands out in contrast. Of course, to even ask these question is automatically to be branded “heresy” and “going down a slippery slope” that will lead to apostasy. Our insecure thalamus triggers the fear alarm in our amygdala and our attuning cingulate cortex and “stay-like-us” right pre-frontal cortex effectively shuts down. We then can only wrongly access the verbal-logical information stored in our left brain and we tell ourselves stories to justify our beliefs. We read the Bible in a way that proves God is like us and we justify our crusades and heresy hunts and persecution of those who are not like us. We build theological systems and “faith” communities that reinforce our worldview (based upon our misinformed God-view) and then we proselytize others to our systems and structures. We multiply fear and shame: fear of God, fear of those who are “not in”, fear of anyone who is not just like us, fear of asking the same questions that the prophets themselves asked and were stoned for. And shame on you for not believing like me! The proselyte who was nervous about God’s punitive nature before he or she heard the “gospel”, simply because of a guilty conscience, now have their suspicions confirmed by the retributive theology of the fearful community. They are now twice the child of hell! And yet, perfect love casts out all fear. Jesus reveals a different God than the one we thought he was. The Father delivers us from sin and death, not from Himself. He has always been for us. Sin has darkened our understanding. When Jesus is accepted as the Truth, as a completely accurate revelation of the Father, then much of the OT, Jesus’ hell parables and teachings, some of the wrath passages in Paul and other NT writers, not to mention the entire Book of Revelation can, in fact, be interpreted in a different light, but we will never see it when we live in pervasive fear. [Note: I am not saying there isn’t much work to be done in exploring these new (and yet ancient) paradigms, but there is a growing number of scholars, pastors, and writers who have given an incredibly reasonable voice to such hope]. Ten years ago, when I was first presented with these radical ideas, my first response was complete and total rejection. Then I underwent a very painful, complete reconstruction of my heart. I was forced to confront my worst fears and identify my addictions—I called them by name and I faced them down one by one. Then, and only then, could I begin to see a path of love through the twisted jungle of fear. Jesus invites us to “fear not” because he is with us. God is for us, not against us. And if God is for us, who can be against us? Certainly not His Father! I am on a personal faith journey that has recently lead me into the world of trintarian universalism. I realize it is quite a shift from my evangelical roots, but the more it’s sweetness ferments in my heart, the more I am intoxicated by it’s possibilities. In fact, I cannot imagine why it took me so long to see the gospel for what it truly is: good news for all people–just as the Christmas angels announced. Actually, I do know why it took me so long. God had to remove a few plugs from my ears first: fear of failure, fear of rejection, perfectionism, and the addictions that were my adolescent solutions to the problem. 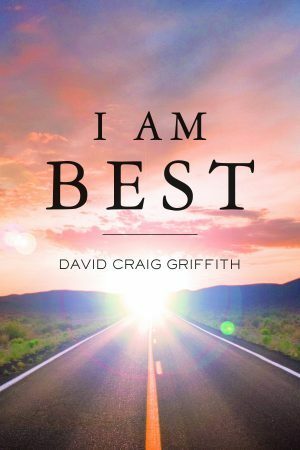 Fear crippled my ability to let my heart believe the very best about God. Now that my heart has been recovered, love is replacing fear and I could never imagine anything less than a fully victorious God. Apokatastaseos panton: The restoration of all things. Pangonu Kampse: Every knee will bow.